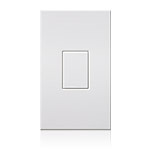 A tapswitch turns lights on and off while a slider allows users to raise and dim lights. 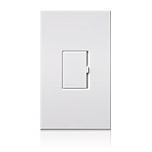 A simple tapswitch turns lights on and off. For use in multi-location installations, the auxilary tap switch can control lights in up to 9 additional locations.